4 Pcs. 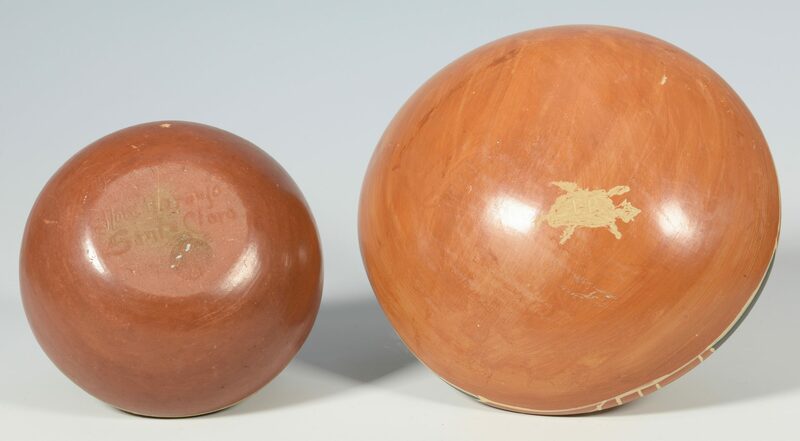 Southwestern Pottery including redware and blackware. 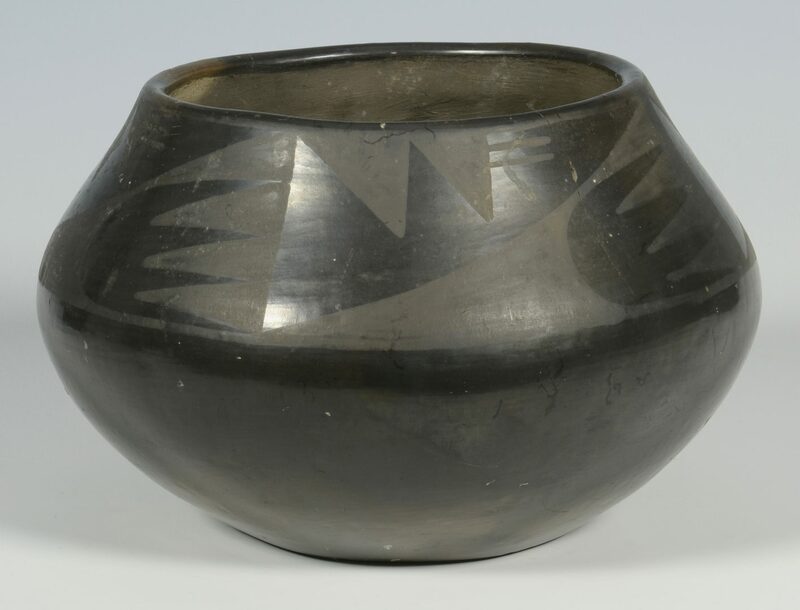 Includes one blackware jar with geometric decoration and wide mouth, 5 1/4" H x 7" diameter. 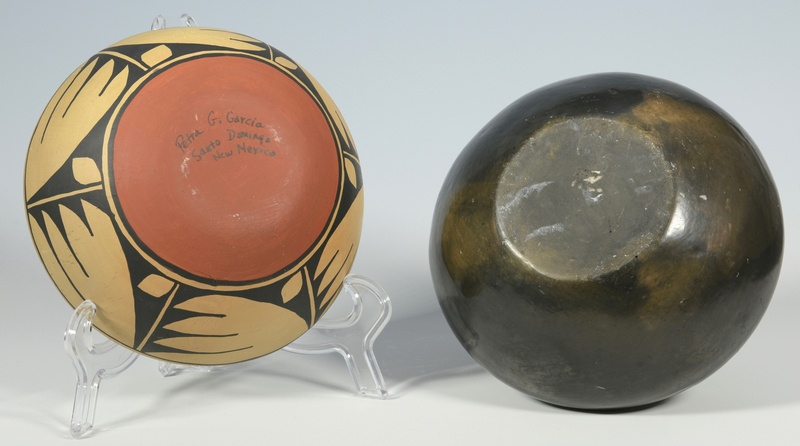 (hairline crack, a few scratches and abrasions); one small redware bowl, polychrome geometric decoration, signed Flora Naranjo (1914-2000), Santa Clara, 3" H x 5" diameter (a couple of rim flakes); 1 three-color bowl signed Petra G. Garcia, Santo Domingo, New Mexico, 3" H x 8" diameter; and one acoma olla with incised shoulder decoration over polychrome geometric decoration, signed on bottom with picture of a turtle and letters TP or TR, 5" H x 8" diameter. All 20th century. Provenance: consignor is an archaeologist who worked and traveled in the Southwest in the mid 20th century. CONDITION: See item description.